Ensuring good credit control in any business is vital for guaranteeing a well managed business. However for small businesses and start ups in particular, it is becoming more common for poor or non-existent credit control procedures to lead to the crippling of the business. By ensuring the steady inflow of cash through carrying out good credit control, you will be releasing funding into the business to allow you to pay your suppliers on time, avoid overdraft interest and provide opportunity for investment and growth. It can be an unwelcome burden on small business owners to chase their customers for payment while they are busy trying to run the day to day activities of their business. Unfortunately it’s common for debts to remain unpaid until you actually remind your customers that payment is due. However the longer a debt remains unpaid the harder it can become to collect the cash therefore it’s worth making that phone call or sending that email sooner rather than later. So, how to perform good credit control? Keep an accurate record of what you have invoiced and when. Assess the risk of customers before giving them credit and use credit rating agencies if necessary. Set credit limits for customers and cease deliveries if limits are exceeded. Maintain a good, professional relationship with your customers. Gain an understanding of your customer’s processes and approval system to ensure the invoice is going to the right person. Call to confirm the receipt of an invoice to new customers. Consider calling customers before the invoice becomes due if it remains unpaid a week or a few days in advance. Don’t ignore late or disputed invoices. 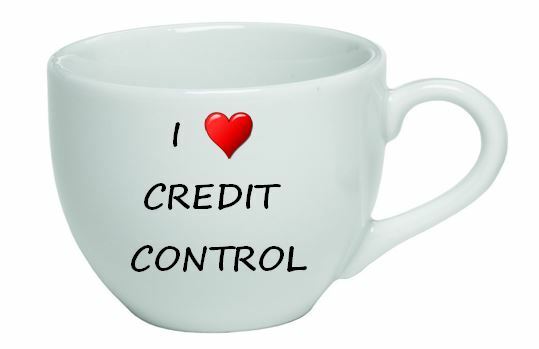 Be consistent with your credit control. Consider using debt recovery agencies when necessary and recharge the cost to the late paying customer as a compensation charge. Cash is the lifeblood of any business and so taking steps to improve cash collection through effective credit control will ensure the vital cash flow to sustain your business.